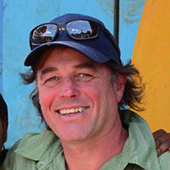 JD. I along with our small and dedicated staff will be at our camp this summer spending time with extraordinary wildlife and wonderful people. Join us. 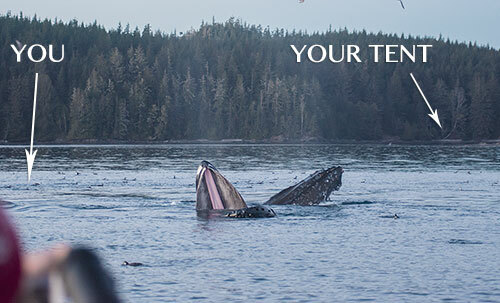 We promise you an unforgettable whale watching experience. Join us for a whale watching holiday of a lifetime. 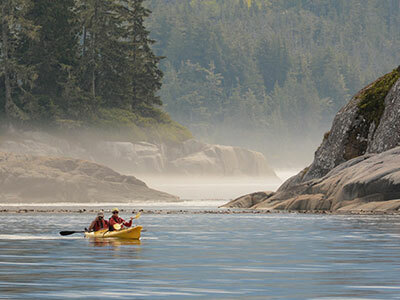 From May 1 through late October we offer four-day whale watching and sea kayaking tours around Vancouver Island’s inner north coast. We watched humpbacks lunge feed, breach and slap their tails – and that was just from camp. We also caught a beautiful fish, enough to feed our whole group. Unforgettable! 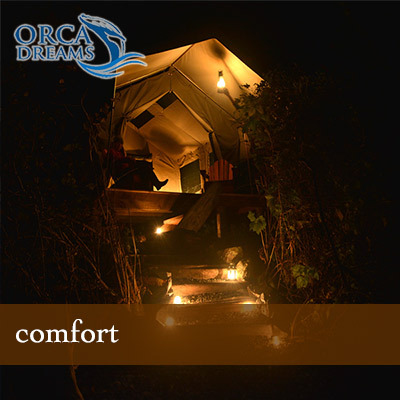 The Orca Dreams camp, located on a small island off northen Vancouver Island, was designed with comfort in mind while still offering a wilderness experience. Each day we'll watch the abundant wildlife that surrounds us. 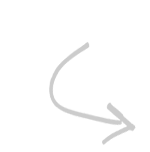 We'll also take time to relax at camp, hike the trails or fish for dinner. 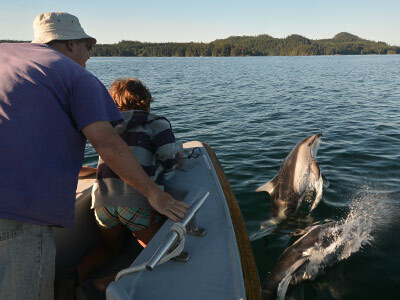 Sip your morning coffee while breaching humpback whales, orcas and dolphins pass by your tent. 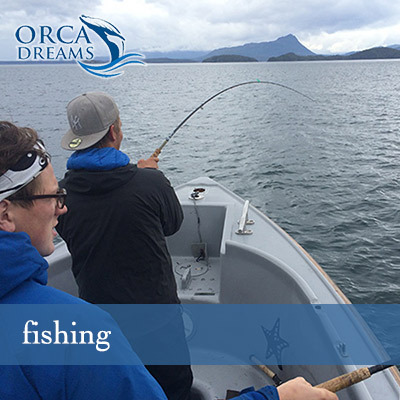 Whale watch, sea kayak, and fish for salmon – it’s all in an Orca Dreams day. 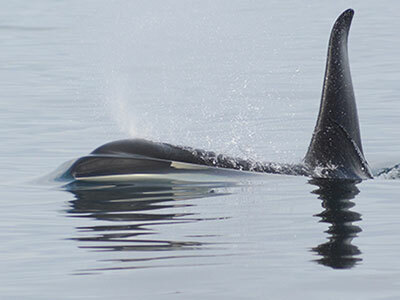 The star of the show is the marine wildlife in the waters around Orca Dreams camp. 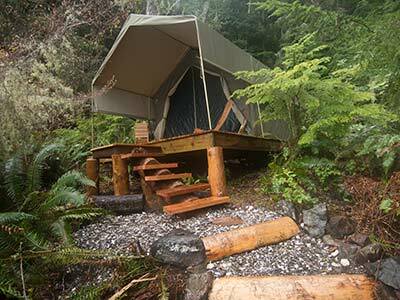 Orca Dreams is situated on Compton Island a half hour boat trip from Telegraph Cove, on North Vancouver Island. 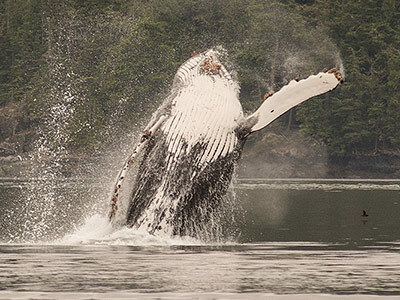 This area is considered the best place to watch whales on Vancouver Island. 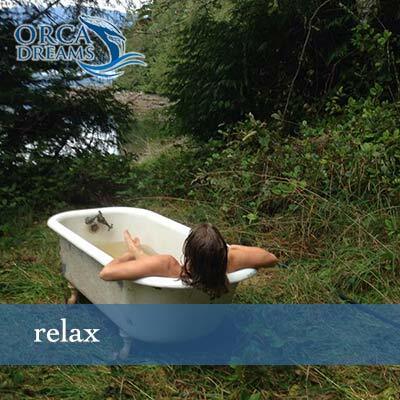 Orca Dreams is situated in the center of the whale watching activity. 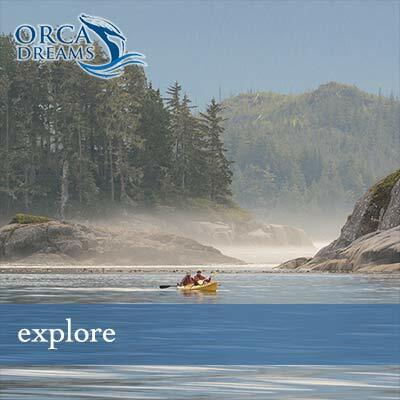 Orca Dreams offers four-day all-inclusive tours from our luxury island camp site in the wildlife rich area of Northern Vancouver Island, British Columbia, Canada. 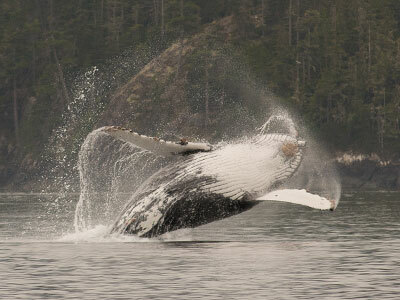 Whale watching Vancouver Island is a once-in-a-lifetime exerience. This is your chance to sea kayak with killer (orca) whales or watch them from our boat, the Tenzing. From one of our many shoreline viewpoints you can watch humpback whales feeding. 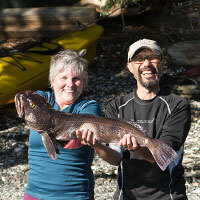 Orca Dreams is the only sea kayaking base camp where we catch our own salmon for dinner. 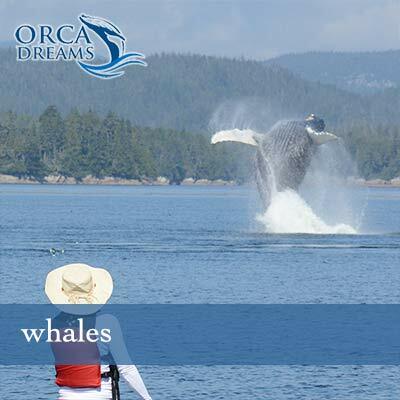 For whale watching Vancouver Island visit Orca Dreams and let your wildest dreams come true.